A number of Asia’s biggest sports stars made the prestigious Forbes top 100 highest-paid athletes list released this week, and the presence of a number of the continent’s sportsmen and women is testament to the fact that Asia is making great strides in a whole host of fields. The highest ranking Asian star came in at number two on a list that looked at earnings from June 2011 to June 2012. 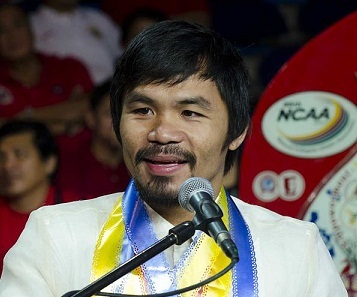 Manny Pacquiao’s June may have included a heartbreaking, shocking and controversial defeat, but he can take some comfort from the fact that, according to Forbes, he earned a whopping $62 million. His pay-per-view appearances are big draws in boxing, and perhaps the only thing that could increase his earnings would be a long-awaited fight with Floyd Mayweather – the only person above him in the earnings stakes. The American earned $85 million. Cricket is represented by India. Indian captain Mahendra Singh Dhoni comes in at number 31 on the list, with total earnings of $26.5 million, much of which comes from the Indian Premier League and various endorsement deals. Japan’s Ichiro Suzuki is one of the legion of U.S.-based stars in the list. The right fielder for the Seattle Mariners was paid $24 million for playing baseball. And then you have Li Na in at number 81 – one of only two female stars on the list, along with fellow tennis player Maria Sharapova who was up at number 26. The Chinese star saw her career and earnings take off after winning the French Open a year ago. That opened the door to all kinds of endorsement deals, which saw her paid $18.4 million. Money isn’t the be all and end all, of course. But it does shows that Asia’s biggest stars are increasingly some of the biggest in the world.